Seating is limited to approximately 150 people. Alcohol is permitted for special events held in the Old Church. 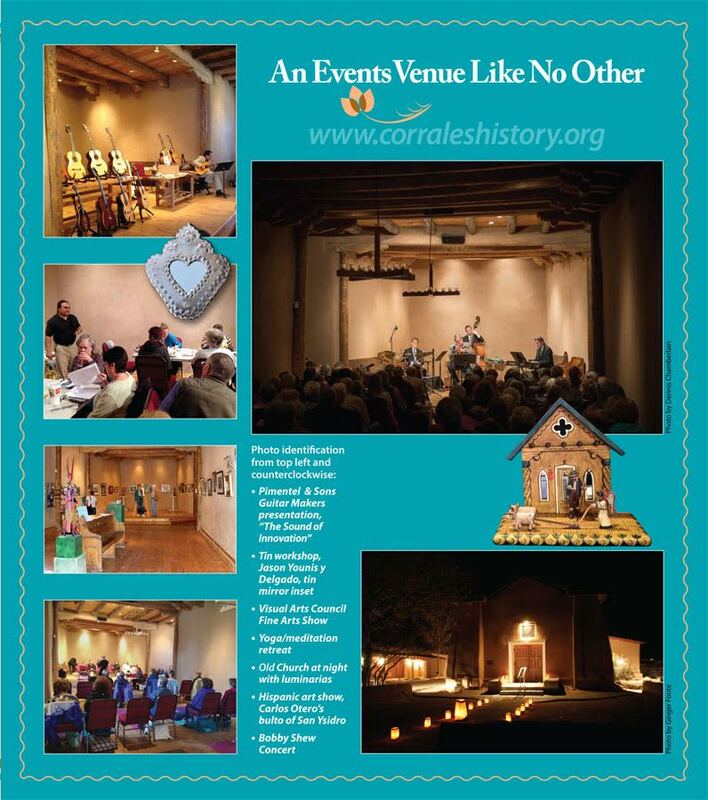 Please click here for more information about the Corrales Historical Society alcohol policy. NOTE: Some uses may not be appropriate because of the religious significance of the Historic Old San Ysidro Church and are subject to approval by the CHS Board of Directors. Daily rental charges vary, depending on the use. Damage deposits are required for all events and cancellation fees vary. All persons using and attending events in the Old San Ysidro Church shall do so at their own risk and CORRALES HISTORICAL SOCIETY and VILLAGE OF CORRALES shall not be liable for any accidents and/or injuries sustained by any participants and/or spectators. Please call Dee Turner at 505.263.0666 or submit the form below. Please make sure to include your name, email and phone number plus a few details about your event on the form and we will contact you as soon as possible. You may check the Old Church availability by going to the Events page. Please include your phone number and event details in this field.